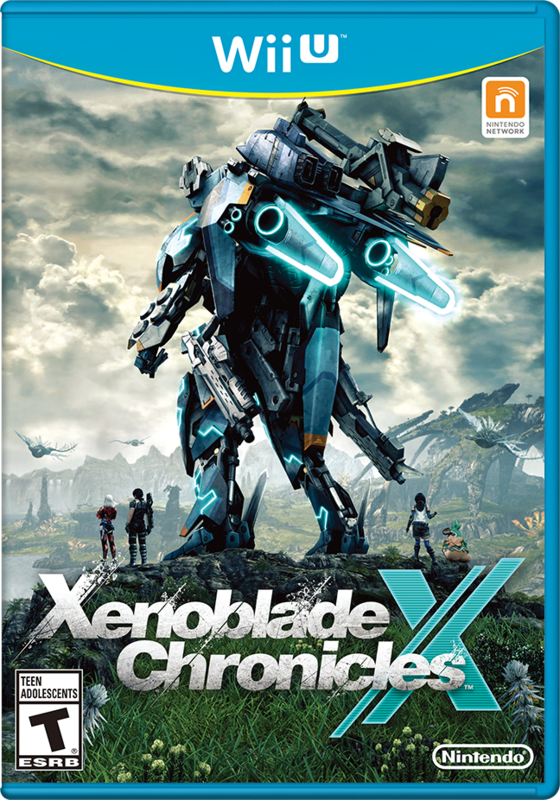 There are some things about Xenoblade Chronicles X for the Wii U that really impress me. There are also some things that are driving me nuts as I play the game. The official Xenoblade website can be found here. First, the great: The scenery is amazing. This is a very pretty world, and the incredible detail that went into planning it shows. It's also very large, and takes a long time to explore, in part because some areas only become reachable once you have a mecha called a skell. And then there are yet more places to discover when you install flight into your skell (not a standard feature!). The exploration factor makes the grinding much more interesting (it is a level-with-experience game), and in most areas, there are monsters of various levels, so you can be as challenged in the beginners' area at high levels as you were at low levels. There's also the sneak factor: many areas are explorable if you're sneaky enough to get past the enemies (in fact, most of the planet is this way). So even if an area is guarded by level 39 enemies and you're a measly level 30, you can expect to be able to check the area out with some clever wall-jumping. This is both fun and challenging, and a great game mechanic, in my opinion. In this world-exploration game, in which it is literally your job to explore the world and take miniquests (yes, really, it's your in-game job), you can choose what sidequests to take. Many of them take you to new areas, and you get a handy little helper called "followball" to help you find the way to get to them if the yellow arrow on your map isn't enough. There are also affinity missions that you can earn--story-quests that introduce you to each of the playable characters, help your characters bond, and let you learn about their backstories (if you can get them to like you enough). There's a lot of story in this game, in other words, from helping multiple friendly races get along to learning why horrible people became horrible. The story is decently written, and unfolds at a good pace; the unlockable story content is amusing, and the world is interesting. You also unlock a number of customization options as you play, allowing you to change everything from the colors of your home base to adding new features to weapons and even designing things from scratch. You get to choose your team for the most part, you can dress anyway you want (there is a fashion option so you can wear your strongest gear while looking like you're wearing whatever you want), and you can even choose your pet. Like most games you get to choose what combat skills you use (which vary depending on what class you are at the time) and you can switch it up as you go. The combat mechanics are pretty good, and on the whole, the game is enjoyable. Now for the not-so-great warnings: The mechanics would be much, much better if you could read the writing. The text is tiny, and almost impossible to read without squinting. Heaven help you if your vision is as bad as mine. So trying to figure out what gear to wear, what missions to take, what you're supposed to be looking for, and what collectibles you've picked up is something of a continuous nightmare. There's also the "collectible" part of the game: many of the miniquests are "gathering" missions in which you run around gathering things. The problem with this is that no real clues are given for where to find the things, nor--since all the things to gather look like identical crystals--is there a way to specifically search for them. You just run around picking up crystals and hope one of them randomly spawns what you were looking for. Much of these missions are, therefore, spent in the company of Reddit forums, researching where other people found the goods. It's frustrating and one of the more annoying game mechanics I've encountered, and yet is a large part of the game. If there were only a small percentage of missions making use of it, it would be far less irritating, but about half the missions on the job board are. The one bright spot to this is that if you spend a lot of time exploring, you'll often find missions where you've already got enough of your collectible to finish, which means it's instant money and XP. There's also the lack of "can I actually do this mission" information on the job boards. Missions that involve killing things don't tell you what level those things are, nor does your supposed index of enemies usually tell you when you scroll through alphabetically to look them up. There's no way to know if a level 20 character is being assigned to hunt a guaranteed TPK level 36 monster without looking it up online. Again, poorly thought out. There are also so less-than-wonderful parts of the perks, such as the storyline relying on cut scenes that go on for a long time. Usually I enjoy a good cut scene, but midway through the powerpoint-like presentation of the eight different divisions you can join, I was about out of patience. And while the wide variety of weapons you can choose from is fun, there's not really a good sorting system, so you have to scroll through a bunch things you can't equip to choose what you do. Compared to the good things about the game, the problems don't take center stage--the world is too beautiful and it's too much fun to keep discovering new areas for these relatively minor irritations to make me stop playing. On the whole, I'd rate game as a 7/10: Good, but there are too many game mechanic features that downright interfere with gameplay for it to be great. I would still recommend buying it, myself; I do love a good world exploration game. Be sure to play it with a computer or phone within arms' length for minimizing frustration, though. Have you played? What are your thoughts on the game?